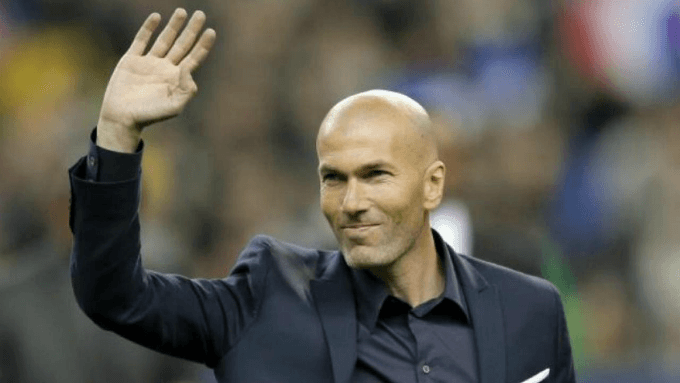 Five days after becoming the first manager to win three Champions Leagues in a row thanks to a 3-1 victory over Liverpool, Zinedine Zidane stepped down as Real Madrid boss. There was always a suspicion that this might happen. Madrid’s La Liga title defence got off to a poor start, with the champions dropping points in three of their first five outings in the league. They did rally after that but remained inconsistent, and a 3-0 home loss to Barcelona two days before Christmas essentially ended their championship hopes before the campaign's midway point. Europe has been a source of comfort for much of this decade, but Madrid looked off the pace there too. They did admittedly come through a tough Champions League group containing Tottenham Hotspur, Borussia Dortmund and APOEL, but their performances against Spurs – drawing 1-1 at home and losing 3-1 at Wembley – were poor and many expected them to come unstuck early in the knockout stage. Yet that did not happen, and although Zidane’s side rode their luck in beating Juventus in the last eight and Bayern Munich in the semi-finals, they once again found a way to win when it mattered. It is a truly remarkable fact that the Frenchman won the Champions League in each of his three seasons at the helm, with Carlo Ancelotti and Bob Paisley the only managers who have been crowned kings of the continent as often as a man who was coaching Madrid’s B team as recently as 2016. The 2017/18 season therefore ended in success, but Zidane will not have forgotten the pressure he came under early on, when there was a widespread feeling that an early exit from Europe would spell the end for the former playmaker. He may have held on this time around, but Zidane is wise enough to know that the same cycle would almost certainly have been repeated next term. Resigning now allows him to walk away on his own terms with his head held high. The question now turns to who will succeed him, a difficult question given the fact president Florentino Perez was reportedly informed of Zidane’s intentions as late as Wednesday. Ancelotti, Thomas Tuchel and Unai Emery may have been on the longlist of contenders had they not already taken new jobs in the last few weeks, while the likes of Joachim Low and Mauricio Pochettino have recently put pen to paper on new deals with Germany and Tottenham respectively. Madrid could certainly afford to buy out said contracts, and that may certainly be a consideration with Pochettino, who is the 17/10 favourite according to RedBet. The Argentinian is one of the best managers in Europe and has been linked with Madrid in the last few seasons; he would not enjoy the same level of control at the Bernabeu as he does presently at Spurs, but the lure of the Champions League holders could prove too strong. Having said that, it would be difficult even for Madrid to snare him away from north London before the ink has dried on his new deal, which means an approach next summer is more likely. Arsene Wenger, 53/20 via Redbet has not yet decided whether to continue coaching, but the chance to manage Madrid would surely make up his mind. Los Blancos have benefitted from hands-off managers like Zidane and Ancelotti in recent times, so Wenger’s low-intensity approach may prove a good fit. It would be a risk, though, and Madrid would probably prefer a younger boss. Antonio Conte, listed at 21/4, could be out of work sooner rather than later, yet his style of coaching is almost the opposite of Wenger’s and may not bear fruit at the Bernabeu. Conte is a hard taskmaster who demands sacrifice and work ethic, which would probably not go down well in such a star-studded dressing room. Maurizio Sarri (21/2), Conte’s touted replacement at Chelsea, has done a tremendous job at Napoli but is untested outside of Italy and may not be a big enough name to satisfy Ronaldo and Co. The same argument could, on the face of it, rule out Guti (21/4), the former Madrid midfielder who is currently working in the club’s youth setup. The 41-year-old knows the Spanish giants inside out, though, and he would likely receive the backing of the senior players at the Bernabeu. With less time to plan than they would have ideally liked, it could be worth backing Guti, a continuity candidate, to become Madrid’s next boss.